Finally it is Friday, and to celebrate we are going to share with you ideas of what to do here in NYC. 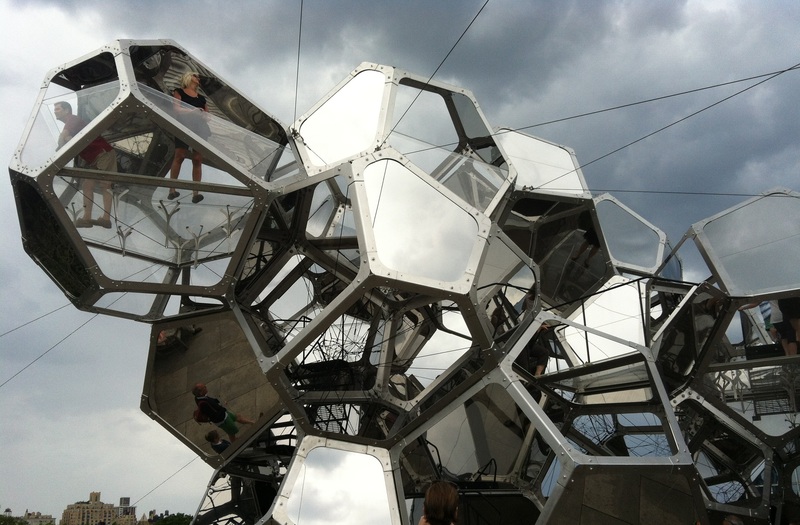 Since it will be a sunny weekend, go up the rooftop of MET to enjoy Tomás Saraceno Cloud City, a modular structure made out of transparent and reflective materials. The components create mesmerizing illusions and you can climb the stairs within the structure to the uppermost modules to have a whole new perspective. But, before you go, make sure to check the museum guidelines for the exhibition here. 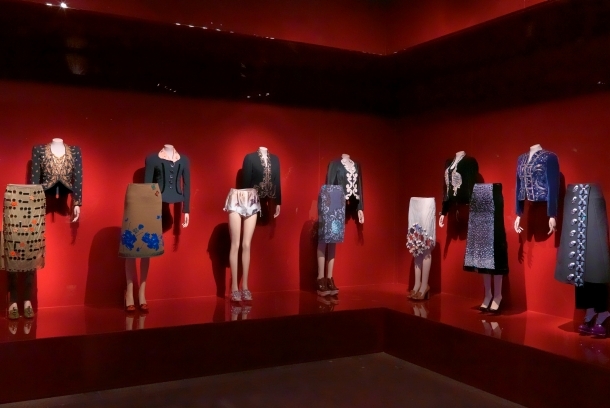 While in the Metropolitan Museum of Art, don’t miss the opportunity to enjoy Schiaparelli and Prada: Impossible Conversations at the Met, a fashion focused exhibition that compares two great fashion designers from different periods in time, but with similar views. And did you know that The Angel Orensanz Foundation had it’s fair share of fashion too? Alexander Mcqueen, one of the greatest designers of our time showcased his first American fashion show right here! After the MET, head out Downtown to Pier 16 to enjoy a night of dance with the US premiere of the Canadian choreographer Sylvain Émard’s Le Grand Continental. 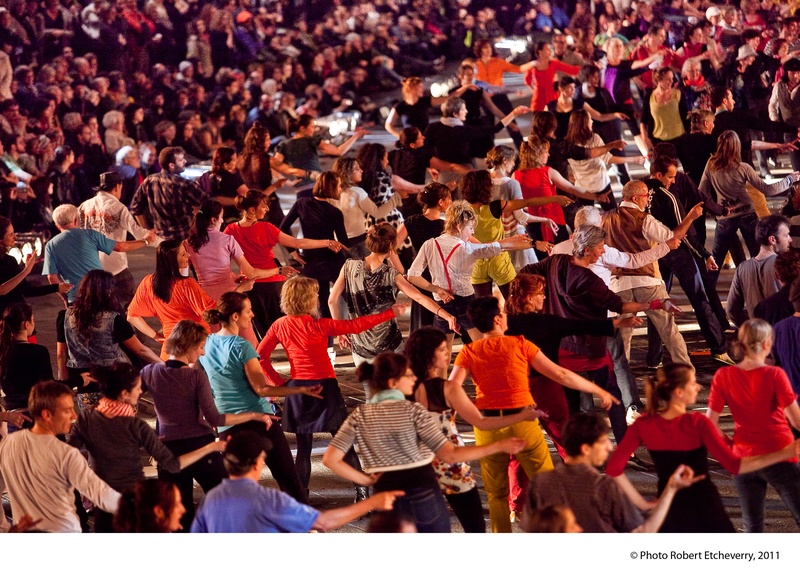 A piece of contemporary dance outdoors that brings together 150 new yorkers in a big dance choreography. After watching the show, you can start dancing too, for a DJ dance party will follow, this time with wordily known Chico Mann that brings Afro beat and Latin styles together to make you dance like no one is watching. On Sunday, make your way to Brooklyn to enjoy some more art in the Brooklyn Museum. 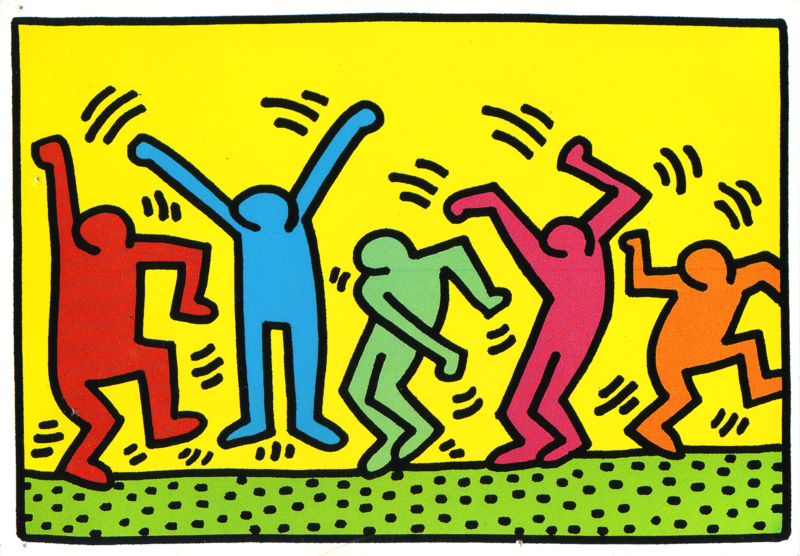 Start with Keith Haring: 1978 – 1982, an exhibition that celebrates the early years of one of the best-known American artists of the 20th century. The Morris A. and Meyer Shapiro Wing holds 155 works of the artist on paper, videos and archival objects from Haring‘s career. After enjoying this talented American artist, go down to the forth floor for some sculptures in the exhibition Rachel Kneebone: Regarding Rodin, in which the British artist alongside her works with French master Auguste Rodin. Showcasing 15 pieces from Rodin and eight from Rachel Kneebone the exhibition highlights her shared interest with the French artist for representation of mourning, ecstasy, death, and vitality in figurative sculpture. The centerpiece is Kneebone‘s largest work , and was inspired by Dante‘s Divine Comedy as The Gates to Hell, from Rodin was. To finish the day, you can stroll down to the Brooklyn Bridge Park to enjoy Photoville in Pier 3, where you can appreciate photos in over 35 containers in the photography village created by the idealizers of the project. Finally, if you still have energy, enjoy a free screening of Jaws in The habana Outpost. We hope you have a great weekend!